Ah, Thanksgiving this week in the States. Good times, my friends. Good times. This is strangely accurate. 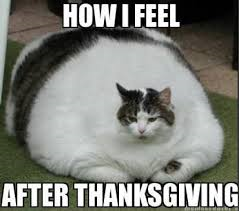 Especially after pumpkin pie. So here’s the deal: this week, you get my thankful ode to Addams Family Values, a quick shout out to a Thanksgiving film (wild guess which film that is), and a recommendation for an obscure fantasy film that just doesn’t know what it wants to be when it grows up. I’m leaving that one as a surprise.